The Sierra Club is an environmental organization in the United States. It was founded on May 28, 1892, in San Francisco, California, by the Scottish-American preservationist John Muir, who became its first president. The Sierra Club primarily operates in the United States; an affiliated organization, Sierra Club Canada, operates in Canada and deals exclusively with Canadian issues. Explore, enjoy and protect the planet. Traditionally associated with the progressive movement, the club was one of the first large-scale environmental preservation organizations in the world, and currently engages in lobbying politicians to promote environmentalist policies. Recent focuses of the club include promoting sustainable energy, mitigating global warming, and opposing the use of coal. The club is known for its political endorsements, which are often sought after by candidates in local elections; it generally supports liberal and progressive candidates in elections. The Sierra Club is organized on both a national and local level. The club is divided into large chapters representing large geographic areas, some of which have tens of thousands of members. These chapters are divided into regional groups, and special interest sections, committees, and task forces. While much activity is coordinated at a local level, the Club is a unified organization; decisions made at the national level take precedence. In addition to political advocacy, the Sierra Club organizes outdoor recreation activities, and has historically been a notable organization for mountaineering and rock climbing in the United States. Members of the Sierra Club pioneered the Yosemite Decimal System of climbing, and were responsible for a substantial amount of the early development of climbing. Much of this activity occurred in the group's namesake Sierra Nevada. The Sierra Club does not set standards for or regulate alpinism, but it organizes wilderness courses, hikes, and occasional alpine expeditions for members. In California, the club, through its outdoor recreation groups, is usually considered the state's analogue to other state mountaineering clubs such as Mazamas or the Colorado Mountain Club. The Sierra Club's stated mission is "To explore, enjoy, and protect the wild places of the earth; To practice and promote the responsible use of the earth's ecosystems and resources; To educate and enlist humanity to protect and restore the quality of the natural and human environment; and to use all lawful means to carry out these objectives." The Sierra Club is governed by a 15-member Board of Directors. Each year, five directors are elected to three-year terms, and all club members are eligible to vote. A president is elected annually by the Board from among its members. The Executive Director runs the day-to-day operations of the group. Michael Brune, formerly of Rainforest Action Network, has served as the organization's executive director since 2010. Brune succeeded Carl Pope. Pope stepped down amid discontent that the group had strayed from its core principles. Sierra Club members belong to statewide chapters and local groups. National and local special-interest sections, committees, and task forces address particular issues. The national Sierra Club sets the organization's policy agenda and overarching rules. The club is known for engaging in two main activities: promoting and guiding outdoor recreational activities, which is done throughout the United States but primarily in California (especially Southern California), and political activism to promote environmental causes. Richard M. Skinner of the Brookings Institution describes the Sierra Club as one of the United States' "leading environmental organizations". The Sierra Club makes endorsements of individual candidates for elected office, which has substantial weight given the club's reputation and large membership. Journalist Robert Underwood Johnson had worked with John Muir on the successful campaign to create a large Yosemite National Park surrounding the much smaller state park which had been created in 1864. This campaign succeeded in 1890. As early as 1889, Johnson had encouraged Muir to form an "association" to help protect the Sierra Nevada, and preliminary meetings were held to plan the group. Others involved in the early planning included artist William Keith, Willis Linn Jepson, Willard Drake Johnson, Joseph LeConte and David Starr Jordan. In May 1892, a group of professors from the University of California, Berkeley and Stanford University helped Muir and attorney Warren Olney launch the new organization modeled after the eastern Appalachian Mountain Club. The Sierra Club's charter members elected Muir president, an office he held until his death in 1914. The Club's first goals included establishing Glacier and Mount Rainier national parks, convincing the California legislature to give Yosemite Valley to the U.S. federal government, and preserving California's coastal redwoods. 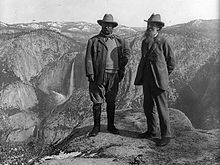 Muir escorted President Theodore Roosevelt through Yosemite in 1903, and two years later the California legislature ceded Yosemite Valley and Mariposa Grove to the federal government. The Sierra Club won its first lobbying victory with the creation of the country's second national park, after Yellowstone in 1872. In the first decade of the 1900s, the Sierra Club became embroiled in the Hetch Hetchy Reservoir controversy that divided preservationists from "resource management" conservationists. In the late 19th century, the city of San Francisco was rapidly outgrowing its limited water supply, which depended on intermittent local springs and streams. In 1890, San Francisco mayor James D. Phelan proposed to build a dam and aqueduct on the Tuolumne River, one of the largest southern Sierra rivers, as a way to increase and stabilize the city's water supply. Gifford Pinchot, a progressive supporter of public utilities and head of the US Forest Service, which then had jurisdiction over the national parks, supported the creation of the Hetch Hetchy dam. Muir appealed to his friend U.S. President Roosevelt, who would not commit himself against the dam, given its popularity with the people of San Francisco (a referendum in 1908 confirmed a seven-to-one majority in favor of the dam and municipal water). Muir and attorney William Edward Colby began a national campaign against the dam, attracting the support of many eastern conservationists. With the 1912 election of U.S. President Woodrow Wilson, who carried San Francisco, supporters of the dam had a friend in the White House. The bill to dam Hetch Hetchy passed Congress in 1913, and so the Sierra Club lost its first major battle. 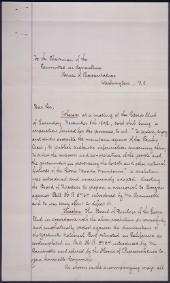 In retaliation, the Club supported creation of the National Park Service in 1916, to remove the parks from Forest Service oversight. Stephen Mather, a Club member from Chicago and an opponent of the Hetch Hetchy dam, became the first National Park Service director. During the 1920s and 1930s, the Sierra Club functioned as a social and recreational society, conducting outings, maintaining trails and building huts and lodges in the Sierras. Preservation campaigns included a several-year effort to enlarge Sequoia National Park (achieved in 1926) and over three decades of work to protect and then preserve Kings Canyon National Park (established in 1940). Historian Stephen Fox notes, "In the 1930s most of the three thousand members were middle-aged Republicans." The New Deal brought many conservationists to the Democratic Party, and many Democrats entered the ranks of conservationists. Leading the generation of Young Turks who revitalized the Sierra Club after World War II were attorneys Richard Leonard and Bestor Robinson, nature photographer Ansel Adams, and David Brower. Adams sponsored Brower for membership in the Club, and he was appointed to the editorial board of the Sierra Club Bulletin. After World War II Brower returned to his job with the University of California Press, and began editing the Sierra Club Bulletin in 1946. In 1950, the Sierra Club had some 7,000 members, mostly on the West Coast. That year the Atlantic chapter became the first formed outside California. An active volunteer board of directors ran the organization, assisted by a small clerical staff. Brower was appointed the first executive director in 1952, and the Club began to catch up with major conservation organizations such as the National Audubon Society, National Wildlife Federation, The Wilderness Society, and Izaak Walton League, which had long had professional staff. The Sierra Club secured its national reputation in the battle against the Echo Park Dam in Dinosaur National Monument in Utah, which had been announced by the Bureau of Reclamation in 1950. Brower led the fight, marshaling support from other conservation groups. Brower's background in publishing proved decisive; with the help of publisher Alfred Knopf, This Is Dinosaur was rushed into press. Invoking the specter of Hetch Hetchy, conservationists effectively lobbied Congress, which deleted the Echo Park dam from the Colorado River project as approved in 1955. Recognition of the Sierra Club's role in the Echo Park dam victory boosted membership from 10,000 in 1956 to 15,000 in 1960. The Sierra Club was now truly a national conservation organization, and preservationists took the offensive with wilderness proposals. The Club's Biennial Wilderness Conferences, launched in 1949 in concert with The Wilderness Society, became an important force in the campaign that secured passage of the Wilderness Act in 1964. In 1960, Brower launched the Exhibit Format book series with This Is the American Earth, and in 1962 In Wildness Is the Preservation of the World, with color photographs by Eliot Porter. These coffee-table books, published by their Sierra Club Books division, introduced the Sierra Club to a wider audience. Fifty thousand copies were sold in the first four years, and by 1960 sales exceeded $10 million. Soon Brower was publishing two new titles a year in the Exhibit Format series, but not all did as well as In Wildness. Although the books were successful in introducing the public to wilderness preservation and the Sierra Club, they lost money for the organization, some $60,000 a year after 1964. Financial management became a matter of contention between Brower and his board of directors. The Sierra Club's most publicized crusade of the 1960s was the effort to stop the Bureau of Reclamation from building two dams that would flood portions of the Grand Canyon. Opposing the Bridge Canyon and Marble Canyon dam projects, full-page ads the Club placed in the New York Times and the Washington Post in 1966 exclaimed, "This time it's the Grand Canyon they want to flood," and asked, "Should we also flood the Sistine Chapel so tourists can get nearer the ceiling?" The ads generated a storm of protest to the Congress, prompting the Internal Revenue Service to announce it was suspending the Sierra Club's 501(c)(3) status pending an investigation. The board had taken the precaution of setting up the Sierra Club Foundation as a (c)(3) organization in 1960 for endowments and contributions for educational and other non-lobbying activities. Even so, contributions to the Club dropped off, aggravating its annual operating deficits. Membership, however, climbed sharply in response to the investigation into the legitimacy of the society's tax status by the IRS from 30,000 in 1965 to 57,000 in 1967 and 75,000 in 1969. The victory over the dam projects and challenges from the IRS did not come without costs. To make up for the power that would have been produced by the dams, the Sierra Club actually advocated for coal power plants. The result of the campaign and its trade-off was, in the words of historian Andrew Needham, that "the Grand Canyon became protected, sacred space," while "the Navajo Reservation"—which housed some of the main power plants picking up the slack – "became increasingly industrial." Despite the Club's success in blocking plans for the Grand Canyon dams and weathering the transition from 501(c)(3) to 501(c)(4) status, tension grew over finances between Brower and the board of directors. The Club's annual deficits rose from $100,000 in 1967 and 1968 to some $200,000 in 1969. Another conflict occurred over the Club's policy toward the nuclear power plant to be constructed by Pacific Gas and Electric (PG&E) at Diablo Canyon near San Luis Obispo, California. Although the Club had played the leading role blocking PG&E's nuclear power plant proposed for Bodega Bay, California in the early 1960s, that case had been built around the local environmental impact and earthquake danger from the nearby San Andreas fault, not from opposition to nuclear power itself. In exchange for moving the new proposed site from the environmentally sensitive Nipomo Dunes to Diablo Canyon, the board of directors voted to support PG&E's plan for the power plant. A membership referendum in 1967 upheld the board's decision. But Brower concluded that nuclear power at any location was a mistake, and he voiced his opposition to the plant, contrary to the Club's official policy. As pro- and anti-Brower factions polarized, the annual election of new directors reflected the conflict. Brower's supporters won a majority in 1968, but in the April 1969 election the anti-Brower candidates won all five open positions. Ansel Adams and president Richard Leonard, two of his closest friends on the board, led the opposition to Brower, charging him with financial recklessness and insubordination and calling for his ouster as executive director. The board voted ten to five to accept Brower's resignation. Eventually reconciled with the Club, Brower was elected to the board of directors for a term from 1983 to 1988, and again from 1995 to 2000. Michael McCloskey, hired by Brower in 1961 as the Club's first northwest field representative, became the Club's second executive director in 1969. An administrator attentive to detail, McCloskey had set up the Club's conservation department in 1965 and guided the campaigns to save the Grand Canyon and establish Redwoods National Park and North Cascades National Park. During the 1970s, McCloskey led the Club's legislative activity—preserving Alaskan lands and eastern wilderness areas, and supporting the new environmental agenda: the Toxic Substances Control Act of 1976, the Clean Air Act amendments, and the Surface Mining Control and Reclamation Act of 1977, passed during the administration of President Jimmy Carter. The Sierra Club made its first presidential endorsement in 1984 in support of Walter Mondale's unsuccessful campaign to unseat Ronald Reagan. McCloskey resigned as executive director in 1985 after 16-1/2 years (the same length of time Brower had led the organization), and assumed the title of chairman, becoming the Club's senior strategist, devoting his time to conservation policy rather than budget planning and administration. After a two-year interlude with Douglas Wheeler, whose Republican credentials were disconcerting to liberal members, the Club hired Michael Fischer, the former head of the California Coastal Commission, who served as executive director from 1987 to 1992. Carl Pope, formerly the Club's legislative director, was named executive director in 1992. In the 1990s, club members Jim Bensman, Roger Clarke, David Dilworth, Chad Hanson and David Orr along with about 2,000 members formed the John Muir Sierrans (JMS), an internal caucus, to promote changes to club positions. They favored a zero-cut forest policy on public lands and, a few years later, decommissioning Glen Canyon Dam. JMS was successful in changing club positions on both counts. In September 2005, the Sierra Club held its first Sierra Summit in San Francisco. Approximately 1,000 volunteers from around the country, selected by their chapters and groups, were delegates; some nondelegate members also attended. There were seminars and exhibit presentations about current environmental issues and about techniques for more effective activism. Prominent guest speakers included Al Gore; Bill Maher; Robert F. Kennedy, Jr.; and Arianna Huffington. In 2008, several Sierra Club officers quit in protest after the Sierra Club agreed to promote products by Clorox, which had been named one of a "dangerous dozen" chemical companies by the Public Interest Research Group in 2004. According to Carl Pope, the Sierra Club chairman, the deal brought the Club 1.3 million US dollars over the four-year term of the contract. Also in 2008, the Sierra Club endorsed Senator Barack Obama for President, citing "his strong record of support for clean air, wetlands protection, and clean energy." Between 2007 and 2010, the Sierra Club accepted over 25 million US dollars in donations from the gas industry, mostly from Aubrey McClendon, CEO of Chesapeake Energy, one of the biggest gas drilling companies in the US and a firm heavily involved in fracking. In November 2011, Sierra Club chairman Carl Pope stepped down amid discontent about the Clorox deal and other issues. In January 2013, executive director Michael Brune announced  that the Sierra Club would officially participate in the first civil disobedience action in its 120-year history as part of the ongoing protest calling on the Obama administration to reject the Keystone XL tar sands pipeline, stating, "we are watching a global crisis unfold before our eyes, and to stand aside and let it happen – even though we know how to stop it – would be unconscionable." On 13 February 2013, Michael Brune was arrested along with forty-eight people, including civil rights leader Julian Bond and NASA climate scientist James Hansen. In May 2015, the Sierra Club appointed its first black president of the board of directors, Aaron Mair. The Sierra Club endorsed Hillary Clinton in the 2016 U.S. presidential election. In 1901, William Colby organized the first Sierra Club excursion to Yosemite Valley. The annual High Trips were led by mountaineers such as Francis P. Farquhar, Joseph Nisbet LeConte, Norman Clyde, Walter A. Starr, Jr., Jules Eichorn, Glen Dawson, Ansel Adams, and David R. Brower. A number of first ascents in the Sierra Nevada were made on Sierra Club outings. Sierra Club members were also early enthusiasts of rock climbing. In 1911, the first chapter was formed, Angeles, and it began conducting local excursions in the mountains surrounding Los Angeles and throughout the West. Many major innovations in mountaineering have come from Sierra Club members. Norman Clyde and Jules Eichorn, considered among the most famous members of the club, completed many first ascents of peaks in the Sierra Nevada. Glen Dawson and Royal Robbins, often on trips sponsored and organized by the Rock Climbing Section of the Angeles Chapter, opened up much of the Tahquitz Peak area to climbing, which at the time was said to contain some of the hardest routes in the world. The Yosemite Decimal System, the primary method of rating a route's difficulty used in the United States, was developed into its modern form at Tahquitz. Steve Roper's Fifty Classic Climbs of North America, sponsored and published by the Sierra Club, is still considered one of the definitive rock climbing guidebooks in the United States. Due to an increasing focus on political activity and concerns about financial liability, mountaineering activity in the Sierra Club has subsided since the 1980s. Some chapters, mostly in California, continue to maintain large mountaineering programs. The club currently occasionally awards the Francis P. Farquhar Mountaineering Award to outstanding member mountaineers. In World War II, a number of Sierra Club leaders joined the 10th Mountain Division. Among them was David R. Brower, who managed the High Trip program from 1947 to 1954, while serving as a major in the Army Reserve. In many areas of the country, Sierra Club also organizes hiking tours. Sierra Club's website has a "hiking near me" function. Section "Sierra Club Near You" shows all the upcoming trips in nearby area. The historic High Trips, sometimes large expeditions with more than a hundred participants and crew, have given way to smaller and more numerous excursions held across the United States and abroad. These outings form a major part of Sierra Club culture, and in some chapters, constitute the majority of member activity. Other chapters, however, may sponsor very few outdoor or recreational activities, being focused solely on political advocacy. Generally, chapters in California are much more active with regard to outdoor activities. The Sierra Club presents a number of annual awards. These awards include the Sierra Club John Muir Award, which is the organization's top award. The John Muir Award is given to an individual with "a distinguished record of achievement in national or international conservation causes." Other awards given by the Sierra Club include the Ansel Adams Award for Conservation Photography, which honors excellence in conservation photography; and the Francis P. Farquhar Mountaineering Award, which recognizes contributions to mountaineering. Land management, access, conservation are traditionally considered the core advocacy areas of the Sierra Club. Uniquely for a progressive organization, the Sierra Club has strong grassroots organization in rural areas, with much activity focused on ensuring equitable and environmentally-friendly use of public lands. This is particularly accentuated by the fact that the club attracts many people who primarily join the club for recreation and use of public land for hiking. Some Sierra Club members have urged the Club to be more forceful in advocating for the protection of National Forests and other federally owned public lands. For example, in 2002 the Club was criticized for joining with the Wilderness Society in agreeing to a compromise that would allow logging in the Black Hills in South Dakota. A goal of the Sierra Club is to replace coal with other energy sources. Through its "Beyond Coal" campaign, the Sierra Club has set a goal to close half of all coal plants in the U.S. by 2017. American business magnate and former New York City mayor Michael Bloomberg donated $50 million to the Sierra Club's anti-coal work in 2011, and announced another $30 million gift to Sierra's Beyond Coal campaign in 2015. The Beyond Coal campaign says 187 coal plants have been closed since 2010. Other funders of the Sierra Club's anti-coal campaign include the William and Flora Hewlett Foundation and the John D. and Catherine T. MacArthur Foundation. The CEO of Chesapeake Energy, a natural gas company, donated $26 million to the Beyond Coal campaign between 2007 and 2010. The Sierra Club is also opposed to nuclear energy. The Sierra Club opposes dams it considers inappropriate, including some government-built dams in national parks. In the early 20th century, the organization fought against the damming and flooding of the Hetch Hetchy Valley in Yosemite National Park. Despite this lobbying, Congress authorized the construction of O'Shaughnessy Dam on the Tuolumne River. The Sierra Club continues to support removal of the dam. The Sierra Club advocates the decommissioning of Glen Canyon Dam and the draining of Lake Powell. The Club also supports removal, breaching or decommissioning of many other dams, including four dams on the lower Snake River in eastern Washington. The Sierra Club is a member of the BlueGreen Alliance, a coalition of environmental groups and labor unions. The BlueGreen Alliance was formed in 2006 and grew out of a less-formal collaboration between the Sierra Club and the United Steelworkers. In 2012, the Laborers' International Union of North America left the coalition due to the Sierra Club and other environmental groups' opposition to the Keystone Pipeline. Immigration was historically among the most divisive issues within the club. In 1996, after years of debate, the Sierra Club adopted a neutral position on immigration levels. As the club has shifted to the left over the years, this position was amended in 2013 to support "an equitable path to citizenship for undocumented immigrants". Although the position of the Sierra Club has generally been favorable towards immigration, some critics of the Sierra Club have charged that the efforts of some club members to restrain immigration, are a continuation of aspects of human population control and the eugenics movement. In 1969, the Sierra Club published Paul R. Ehrlich's book, The Population Bomb, in which he said that population growth was responsible for environmental decline and advocated coercive measures to reduce it. Some observers have argued that the book had a "racial dimension" in the tradition of the Eugenics movement, and that it "reiterated many of Osborn's jeremiads." During the 1980s, some Sierra Club members, including Paul Ehrlich's wife Anne, wanted to take the Club into the contentious field of immigration to the United States. The Club's position was that overpopulation was a significant factor in the degradation of the environment. Accordingly, the Club supported stabilizing and reducing U.S. and world population. Some members argued that, as a practical matter, U.S. population could not be stabilized, let alone reduced, at the then-current levels of immigration. They urged the Club to support immigration reduction. The Club had previously addressed the issue of "mass immigration", and in 1988, the organization's Population Committee and Conservation Coordinating Committee stated that immigration to the U.S. should be limited, so as to achieve population stabilization. Other Sierra Club members thought that the immigration issue was too far from the Club's core environmentalist mission, and were also concerned that involvement would impair the organization's political ability to pursue its other objectives. In 1998, 60.1% of Sierra Club voting members voted that the organization should remain neutral on America's immigration policies, while 39.2% supported a measure calling for stricter curbs on immigration to the United States. In 1996, after the Sierra Club board adopted a neutral position on immigration policy, some members who were advocates of immigration reduction organized themselves as "SUSPS" – a name originally derived from "Sierrans for U.S. Population Stabilization", which now stands for "Support U.S. Population Stabilization." SUSPS advocates a return to the Sierra Club's "traditional" (1970–1996) immigration policy stance. SUSPS has called for fully closing the borders of the United States, and for returning to immigration levels established by the Immigration Act of 1924, which includes strict ethnic quotas. The controversy resurfaced when a group of three immigration reduction proponents ran in the 2004 Sierra Club Board of Directors election, hoping to move the Club's position away from a neutral stance on immigration, and to restore the stance previously held. Groups outside of the Club became involved, such as the Southern Poverty Law Center and MoveOn. Of the three candidates, two (Frank Morris and David Pimentel), were on the board of the anti-immigration group Diversity Alliance for a Sustainable America and two (Richard Lamm and Frank Morris) were on the board of directors or the board of advisors of the Federation for American Immigration Reform; both had also held leadership positions within the NAACP. Their candidacies were denounced by a fourth candidate, Morris Dees of the SPLC, as a "hostile takeover" attempt by "radical anti-immigrant activists." The immigration reduction proponents won 7% of all votes cast in the election. In 2005, members voted 102,455 to 19,898 against a proposed change to "recognize the need to adopt lower limits on migration to the United States." With the increased number of progressive activists joining the club in recent years, the Sierra Club has dramatically shifted its stance on immigration further towards the affirmative. Today, the Sierra Club supports a path to citizenship for undocumented immigrants, opposes a border wall and works with immigrant groups to promote environmental justice. The Sierra Club has come under criticism for opposing high-density housing development projects in California, which are intended to reduce housing shortage and reduce greenhouse gas emissions. Ethan Elkind, director of the climate program at the Center for Law, Energy and the Environment (CLEE) at UC Berkeley Law, said that the Sierra Club's opposition to California Senate Bill 827 - which would require cities to allow denser and taller housing near public transport centrals, and ease the parking requirements that cities can impose on housing developments - was "surprising". He wrote, "is Sierra Club an organization of wealthy homeowners who want to keep newcomers out of their upscale, transit-rich areas? Or are they actually committed to fighting climate change by providing enough housing for Californians in low-carbon, infill areas? Because their opposition to SB 827 unfortunately indicates more of the former than the latter." The Sierra Club Foundation was founded in 1960 by David R. Brower. A 501(c)(3) organization, it was founded after the Internal Revenue Service revoked the Sierra Club's tax-exempt status due to the group's political activities. The Sierra Club added its first Canadian chapter in 1963 and in 1989 opened a national office in Ottawa. Canadian affiliates of the Sierra Club operate under the Sierra Club Canada. In 1971, volunteer lawyers who had worked with the Sierra Club established the Sierra Club Legal Defense Fund. This was a separate organization that used the "Sierra Club" name under license from the Club; it changed its name to Earthjustice in 1997. The Sierra Student Coalition (SSC) is the student-run arm of the Sierra Club. Founded by Adam Werbach in 1991, it has 30,000 members. The Sierra Club Voter Education Fund is a 527 group that became active in the 2004 Presidential election by airing television advertisements about the major party candidates' positions on environmental issues. Through the Environmental Voter Education Campaign (EVEC), the Club sought to mobilize volunteers for phone banking, door-to-door canvassing and postcard writing to emphasize these issues in the campaign. The organization maintains a publishing imprint, Sierra Club Books, publishing books on environmental issues, wilderness photographic essays, nature guides, and other related subjects. 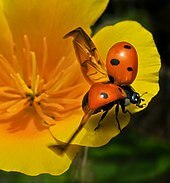 They publish the Sierra Club Calendars, perennial bestsellers, featuring photographs by well-known nature photographers such as Galen Rowell. They also publish the John Muir library, which includes many of their founder's titles. The Wilderness Travel Course is a basic mountaineering class that is administered by the Sierra Club. The Summer Program (SPROG) is a one-week leadership training program that teaches tools for environmental and social justice activism to young people across the country. The Sierra Club's annual budget was $88 million in 2011 and $100 million in 2012. In 2013, the group's budget was $97.8 million. In 2008, Clorox donated $1.3 million to the Sierra Club in exchange for the right to display the Sierra Club's logo on a line of cleaning products. In February 2012, it was reported that the Sierra Club had secretly accepted over $26 million in gifts from the natural gas industry, mostly from Aubrey McClendon, CEO of Chesapeake Energy. The Sierra Club used the Chesapeake Energy money for its Beyond Coal campaign to block new coal-fired power plants and close old ones. Michael Brune reported that he learned of the gifts after he succeeded Carl Pope as executive director of the Sierra Club in 2010. Brune reported that he ended the financial agreement with natural gas industry interests. In 2014, the Energy and Environment Legal Institute filed a referral with the Internal Revenue Service pointing out that Sierra Club and Sierra Club Foundation were not paying income taxes from sales of solar panels for their partners across the US. The Sierra Club has an affiliated super PAC. It spent $1,000,575 on the 2014 elections, all of it opposing Republican candidates for office. The Sierra Club is a partner of America Votes, an organization that coordinates and promotes progressive issues. Donors to the Sierra Club have included David Gelbaum, Michael Bloomberg, the William and Flora Hewlett Foundation and the John D. and Catherine T. MacArthur Foundation. The Sierra Club has also received funding from the Democracy Alliance and the Tides Foundation Advocacy Fund. In 2015, a PR front group, known as the Environmental Policy Alliance, claimed that the Sierra Club and other U.S. environmental groups received funding from groups with ties to Russia's state-owned oil company. ^ "About Us". Sierra Club. Retrieved 14 December 2016. ^ a b "IRS Form 990 2013" (PDF). Internal Revenue Service. Retrieved 1 May 2015. ^ a b c Sahagun, Louis (November 19, 2011). "Sierra Club leader departs amid discontent over group's direction". Los Angeles Times. Retrieved 1 May 2015. ^ a b "Policies". Sierra Club. Retrieved 1 May 2015. ^ "Board of Directors". Sierra Club. Retrieved 1 May 2015. ^ "Carl Pope to Step Down as Executive Director of Sierra Club" (Press release). Sierra Club. January 20, 2010. Retrieved 2010-01-20. ^ Richard M. Skinner (2007). More Than Money: Interest Group Action in Congressional Elections. Rowman & Littlefield. pp. 57–58. ISBN 978-0-7425-4721-6. ^ a b c d e f g h Stephen Fox, John Muir and His Legacy: The American Conservation Movement (Boston: Little, Brown, 1981), pp. 125–319. ^ "The Hetch Hetchy Dam Controversy: An Introduction". Assumption College. Archived from the original on 2004-12-30. Retrieved 2013-05-25. ^ Needham, Andrew (2014). Power Lines: Phoenix and the Making of the Modern Southwest. Princeton, NJ: Princeton University Press. p. 211. ISBN 9781400852406. ^ Michael McCloskey, In the Thick of It: My Life in the Sierra Club (Washington, DC: Island Press, 2000), pp. 99–248. ^ Broydo, Leora (November 3, 1998). "Mutiny at the Sierra Club". Mother Jones. Retrieved 1 May 2015. ^ "Sierra Club Summit - March/April 2005 Planet Newsletter - Sierra Club". vault.sierraclub.org. Retrieved 2018-12-16. ^ Felicity Barringer: Clorox Courts Sierra Club, and a Product Is Endorsed New York Times, 26 March 2008; Karyn Strickler: The Sierra Club Sells Out to Clorox Organic Consumers Association; Associated Press: Some in Sierra Club feel sullied by Clorox deal NBC, 16 August 2008. ^ a b Louis Sahagun: Sierra Club leader departs amid discontent over group's direction Los Angeles Times, 19 November 2011. ^ "Sierra Club Endorses Obama for President; Joins United Steelworkers in Call for Clean Energy Future". Sierra Club. June 19, 2008. Archived from the original on July 9, 2008. Retrieved 2008-07-09. ^ Chesapeake Energy Supports the Community – Unless the Community Opposes Fracking Corporate Crime Reporter, 28 January 2012; Bryan Walsh: How the Sierra Club Took Millions From the Natural Gas Industry—and Why They Stopped, Time Magazine, 2 February 2012; Sierra Club Tells Members – We Don’t Take Money from Chesapeake Energy – When in Fact They Took $25 Million Corporate Crime Reporter 2 February 2012. ^ "From Walden to the White House". The blog of Sierra Club Executive Director Michael Brune. January 22, 2013. Retrieved 2013-02-25. ^ "48 Arrested at Keystone Pipeline Protest as Sierra Club Lifts 120-Year Ban on Civil Disobedience". Democracy Now!. February 14, 2013. Retrieved 2013-02-25. ^ "Keystone XL pipeline protest marks first civil disobedience by Sierra Club". Christian Science Monitor. February 14, 2013. Retrieved 2013-02-25. ^ Restuccia, Andrew (30 May 2015). "Green groups set sights on diversity". Politico. Retrieved 1 June 2015. ^ Glover, Asha (June 9, 2016). "Sierra Club Endorses Clinton". Morning Consult. Archived from the original on 16 September 2016. Retrieved 14 June 2016. ^ a b "Outings". Sierra Club. Retrieved 2012-04-01. ^ Brower, David R. (June 1954). "Sierra High Trip". The National Geographic Magazine. Washington, DC: National Geographic Society. CV (Six): 844–868. ^ Mock, Brentin (September 24, 2013). "Robert Bullard, pioneer in environmental justice, is honored by the Sierra Club". Washington Post. Retrieved 1 May 2015. ^ Paul J. Culhane (26 November 2013). Public Lands Politics: Interest Group Influence on the Forest Service and the Bureau of Land Management. Routledge. pp. 166–. ISBN 978-1-135-99078-7. ^ St. Clair, Jeffrey (August 1, 2002). "Dark Deeds in the Black Hills". Counterpunch. Retrieved 1 May 2015. ^ "Beyond Coal". Sierra Club. Retrieved 1 May 2015. ^ Sheppard, Kate (April 8, 2014). "Bloomberg, Sierra Club Direct $60 Million To Closing Half Of U.S. Coal Plants By 2017". Huffington Post. Retrieved 1 May 2015. ^ Restuccia, Andrew (April 8, 2015). "Michael Bloomberg, other donors add $60 million to Sierra Club's coal fight". Politico. Retrieved 1 May 2015. ^ Gemab, Ben (April 8, 2015). "Michael Bloomberg Throws Another $30 Million at Sierra Club's Anti-Coal Campaign". National Journal. Archived from the original on April 8, 2015. Retrieved 1 May 2015. ^ a b Barringer, Felicity (February 13, 2012). "Answering for Taking a Driller's Cash". New York Times. Retrieved 1 May 2015. ^ Geman, Ben (February 2, 2014). "Greens Still See Red on Nuclear Power". National Journal. Retrieved 1 May 2015. ^ Geman, Ben (November 3, 2013). "Climate scientists: Embrace nuclear power". The Hill. Retrieved 1 May 2015. ^ "A Fierce Green Fire". PBS. March 21, 2014. Retrieved 30 April 2015. ^ Brower, Kenneth (December 2, 2014). "Appreciation: Lessons From the Man Who Stopped Grand Canyon Dams". National Geographic. Retrieved 30 April 2015. ^ Williams, Lance (October 3, 2012). "Sierra Club officials 'don't know what to make' of Hetch Hetchy measure". The Bay Citizen. Archived from the original on 23 December 2012. Retrieved 30 April 2015. ^ Marston, Ed (October 13, 1997). "Sierra Club moves to fortify its 'drain Lake Powell' campaign". High Country News. Retrieved 30 April 2015. ^ Cole, Ken (June 17, 2010). "Let's really talk about taking down those Snake River dams". The Wildlife News. Retrieved 30 April 2015. ^ Restuccia, Andrew (January 20, 2012). "Labor union quits alliance with greens over Keystone pipeline". The Hill. Retrieved 30 April 2015. ^ "Immigration". 23 May 2016. ^ a b cl_admin (8 May 2013). "How the Sierra Club Learned to Love Immigration - Colorlines". ^ Cockburn, Alexander (October 2, 1997). "A Big Green Bomb Aimed at Immigration". Los Angeles Times. Retrieved 30 April 2015. ^ Ordover, Nancy (2003). American Eugenics: Race, Queer Anatomy, and the Science of Nationalism. University of Minnesota Press. p. 49. ISBN 9780816635597. ^ a b Cockburn, Alexander (October 8, 1997). "The Sierra Club's Ugly Racial Tilt". Albion Monitor. Archived from the original on 21 February 2013. Retrieved 30 April 2015. ^ Warren, Louis (2003). American Environmental History. Wiley. ISBN 9780631228646. ^ Stern, Alexandra (2005). Eugenic Nation: Faults and Frontiers of Better Breeding in Modern America. University of California Press. p. 127. ISBN 9780520244436. ^ "Sierra Club Policy: Immigration Policy History." SUSPS. Accessed 14 May 2008. ^ Kunofsky, Judy. "Sierra Club, U.S. Population Growth, and Immigration." Sierra Club Population Report. Spring 1989. Accessed 14 May 2008. ^ Cone, Marla (April 26, 1998). "Sierra Club to Remain Neutral on Immigration". Los Angeles Times. Retrieved 30 April 2015. ^ Davila, Florangela (February 18, 2004). "Immigration dispute spawns factions, anger in Sierra Club". Seattle Times. Retrieved 2017-04-24. ^ Sun-Hee Park, Lisa (2011). The Slums of Aspen: Immigrants vs. the Environment in America's Eden. NYU Press. p. 142. ISBN 9780814768655. ^ "SUSPS". Brigham Young University Law Review: 1202. 2006. ^ Perry, Barbara (2009). Hate Crimes: Responding to hate crime. Praeger Publishers. p. 245. ISBN 9780275995799. ^ Bustillo, Miguel; Weiss, Kenneth (January 18, 2004). "Election Becomes a Fight Over Sierra Club's Future". Los Angeles Times. Retrieved 1 May 2015. ^ Barringer, Felicity (March 16, 2004). "Bitter Division For Sierra Club On Immigration". New York Times. Retrieved 1 May 2015. ^ Knickerbocker, Brad (February 20, 2004). "A 'hostile' takeover bid at the Sierra Club". Christian Science Monitor. Retrieved 1 May 2015. ^ a b "Hostile takeover," Intelligence Report, Spring 2004, p. 57. ^ Potok, Mark, Editor of Intelligence Report, Letter to Larry Fahn, President, The Sierra Club, October 21, 2003. Reprinted in Intelligence Report, Spring 2004, pp. 59–63. ^ "Tacoma Seeking Segregation Curb." Spokane Daily Chronicle. July 15, 1966. ^ Davila, Florangela (February 18, 2004). "Immigration dispute spawns factions, anger in Sierra Club". Seattle Times. Retrieved 1 May 2015. ^ Lyon, Thomas (2012). Good Cop/Bad Cop: Environmental NGOs and Their Strategies toward Business. Routledge. ISBN 9781136524653. ^ Weiss, Kenneth (April 26, 2005). "Sierra Club Members Vote to Stay Neutral in the Immigration Debate". Los Angeles Times. Retrieved 30 April 2015. ^ "Sierra Club Vehemently Opposes Border Wall, Militarization passed out of Senate Committee". Sierra Club. 2018-06-21. Retrieved 2018-10-25. ^ "S.F. chapter of Sierra Club faces challenge over housing stance". San Francisco Chronicle. Retrieved 2018-01-27. ^ "Housing crisis spurs fight over the soul of the S.F. Sierra Club chapter". www.bizjournals.com. Retrieved 2018-01-27. ^ a b c "Sierra Club Now Opposes One Of The Most Important Climate Bills In California". Ethan Elkind. 2018-01-24. Retrieved 2018-01-27. ^ Cooper, Ryan (May 15, 2013). "The Sierra Club Was Once the Victim of a Politically Motivated IRS Attack". Washington Monthly. Retrieved 1 May 2015. ^ Dreier, Peter (June 20, 2012). "Today's Environmental Activists Stand on David Brower's Shoulders". Huffington Post. Retrieved 1 May 2015. ^ Vaughan, Shannon; Arsenault, Shelly; Arsneault, Michelle. Managing Nonprofit Organizations in a Policy World. CQ Press. p. 110. ISBN 9781452240053. ^ "Sierra Club Legal Defense Fund Changes Name to Earthjustice Legal Defense Fund". EarthJustice. June 14, 1997. Retrieved 1 May 2015. ^ Sacks, Danielle (September 1, 2007). "Working With the Enemy". Fast Company. Retrieved 1 May 2015. ^ "Sierra Club Books:". Action.sierraclub.org. Archived from the original on 2012-02-20. Retrieved 2012-04-01. ^ Vanderknyff, Rick (December 29, 1994). "Sierra Club Course Puts Basic Skills to the Test". Los Angeles Times. Retrieved 1 May 2015. ^ "Local students to get activist skills training". Paso Robles Daily News. 2018-07-02. Retrieved 2019-01-16. ^ "Summer Program (SPROG)". Sierra Club. 2014-04-28. Retrieved 2019-01-16. ^ Broder, John (November 18, 2011). "Sierra Club Leader Will Step Down". New York Times. Retrieved 1 May 2015. ^ Walsh, Bryan (February 2, 2012). "Exclusive: How the Sierra Club Took Millions From the Natural Gas Industry—and Why They Stopped". Time. Retrieved 1 May 2015. ^ "Bootleggers and Baptists . . . and Hucksterism" (PDF). Energy & Environment Legal Institute. 2014-09-17. Retrieved 2014-09-17. ^ "Sierra Club Independent Action". OpenSecrets.org. Center for Responsive Politics. Retrieved 1 May 2015. ^ Beckel, Michael (May 21, 2014). "Who's bankrolling secretive liberal group America Votes?". Center for Public Integrity. Retrieved 1 May 2015. ^ Hughes, Siobhan (December 10, 2009). "ACLU, Sierra Club Donor to Cut Funding". Wall Street Journal. Retrieved 1 May 2015. ^ Vadum, Matthew (April 5, 2012). "Left vs. left". Washington Times. Retrieved 1 May 2015. ^ Yachnin, Jennifer (December 11, 2013). "Still 'electing the best, defeating the worst' – but with far greater resources than before". E&E Publishing. Retrieved 23 February 2015. ^ Freedman, Andrew (July 7, 2017). "Uh, a GOP leader says Russia funded environmentalists to stop U.S. fracking — what is going on here?". Mashable. Retrieved 10 July 2017. ^ "Sierra Club Presidents". Sierra Club. Retrieved 1 May 2015. ^ Valtin, Tom. "Aaron Mair Elected Sierra Club President". Sierra Club. The Planet. Retrieved 26 May 2015. ^ "List of Sierra Club Executive Directors," Sierra Club. Accessed: September 14, 2012. Wikimedia Commons has media related to Sierra Club.